Adorable and Affordable Cabin in the Woods! Cute and Cozy-Open concept floor plan. Large Great room with tons of natural light, enjoy the wood-burning fireplace on those chilly evenings. 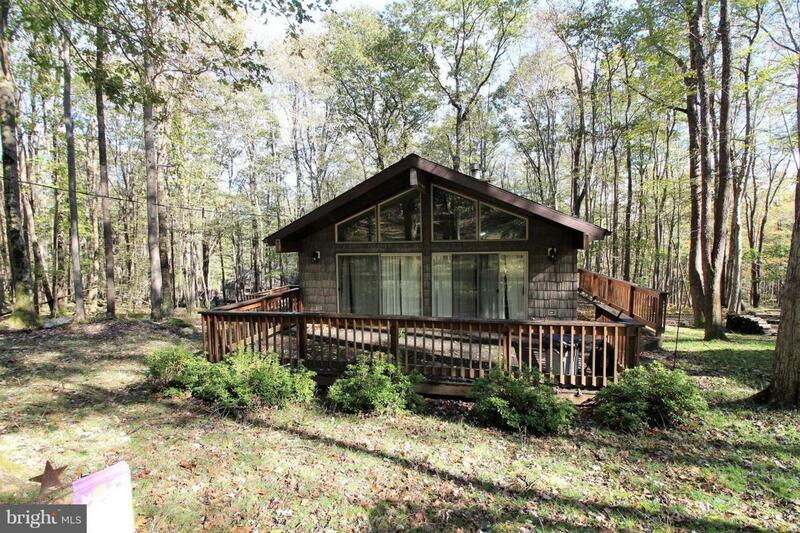 Beautiful wooded setting, large front deck for entertaining family and friends, also two side decks. Enter the basement area from the back of home, great storage area for your kayaks, canoe and lake toys.